WHY YOU SHOULD GO PRO SE: There is power in numbers – the more people that go pro se – the faster the legal industry will decompose. You will need to treat litigation as a hobby – you have a lot of learning to do- and lawyers try to make it last as long as possible. Check back often- new information will be added! SELF- SATISFACTION – knowing you are doing something for future generations- to restore democracy and government integrity. 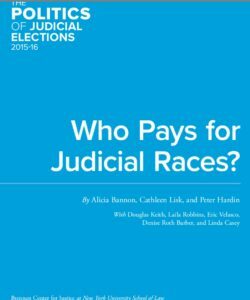 JUDICIAL ARROGANCE AND PRETENTIOUSNESS – Judges are civil servants paid by your tax dollars. The black robe is a uniform- just like the Mailman wears. RESENTMENT – Judges are obligated to the lawyers because they fund their judicial campaigns, so you are immediately going to experience resentment from them for not generating profit for the legal industry. UNCHECKED MISCONDUCT – If the other party has a lawyer, they will try to complicate and prolong the case because they are getting paid by the hour. The Judge in most cases will do nothing about it, because they owe a debt for the bar association funding their judicial elections. And do not be surprised if the judge lies- they are merely lawyers in black robes with the same agenda- revenue for the courts. PROCEDURE UNCONSTITUTIONALLY GIVEN POWER OVER MERITS – Cover all your issues or you waive the right to bring them up later on appeal. READ FOOTNOTES in the rules and laws- it is the most important part. SUBVERSIVE TACTICS – The court system at this time in our history is f*cked up. You are not crazy, but they will try to get it onto the record that you are. Its them – not you. The members of the bar associations are cult-like, arrogant and think they are untouchable. But that is changing- albeit slowly. DISCOURAGING UPS AND DOWNS – Never give up! The system needs constant maintenance – and we the people need to maintain it by persistently letting those given the privilege to serve us, know that they will have a price to pay if they violate the public trust.